What would happen when a young old boy goes to the book store and is surprised to meet someone ...someone his height? ...someone unique? ...someone disabled? 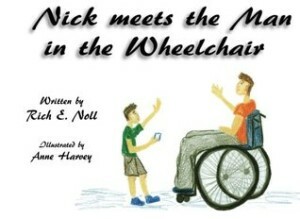 Nick thought he knew a lot about the real world, but when he crosses paths with Sam, who is disabled, Nick learns a big lesson and makes a new friend.